For class we read a selection of text “The Challenge of Absent Presence” from Perpetual Contact: Mobile Communication, Private Talk, Public Performance which discusses the public use of private artifacts in an open, public atmosphere. Thinking about the space in which people access and communicate information got me thinking about Facebook. 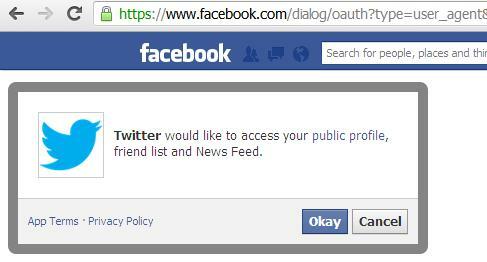 Particularly the access users give to their private and public profile. How much does Facebook have access to? I dove into the Facebook documentation to find an answer to this question, discovering directly from Facebook what intelligence they’re gathering. Unlike information from last week’s post, personal information received by Facebook is consented. Facebook specifically asks you to describe yourself and your interests and provides an explicit medium for you to vent about your day in status updates or message your friend about private information. Apart from the obvious bits of information that people literally post or answer in the “about me” section of a profile, Facebook also gathers information from your previous “sessions” online – gathering information like which browser, operating system, and IP Address you accessed Facebook from. Information which can pinpoint your location with incredible accuracy. It can also be used to steal your identity and grant the holder access to your computer’s files. The documentation also mentions that “If you make purchases on Facebook (ex: in apps) [you] have given Facebook your credit card number.” Which is interesting purely for the fact that it is there to be accessed. Facebook, or even Hackers, has a database of sensitive information that just exists online. Granted, it’s very well protected – but it still exists for someone to crack into it. How much do apps get access to? It’s curious, the most powerful point to be made is the fact that we consent to this data being collected and stored. When we install a new app which requires a Facebook login we are prompted with a dialogue, a form of consent for Facebook to release whatever information the app is requesting to pull. Apps use the Facebook API to simplify user account creation because they can get access to your full name, birthday, and email and let you only have to click a button. But, something to be careful about, they can also be given access to send and receive messages, manage your friends list, post statuses, and more. As Facebook has gotten more mainstream, employers, partners, and friends have started to use Facebook as a preliminary source of information. Pages like the above are useful in selecting who of your peers gets to see what information. 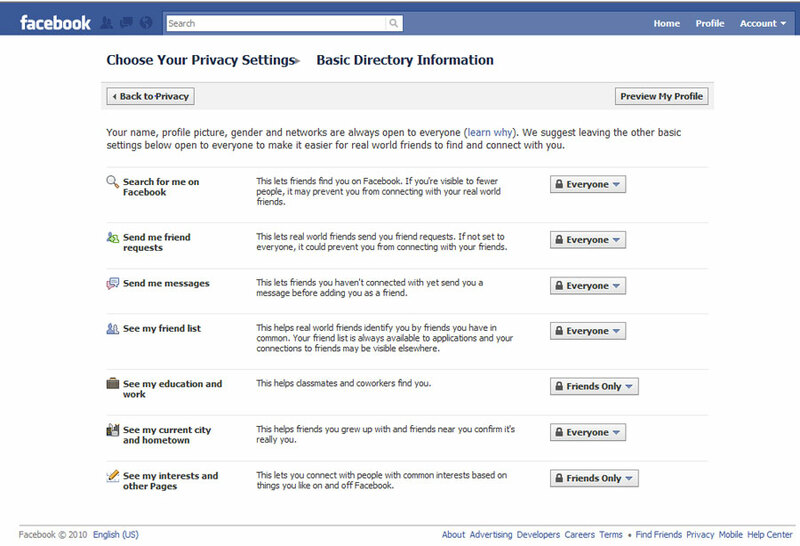 You can even remove yourself from being displayed in the Facebook search results and restrict people from sending you friend requests and viewing your photos/statuses. Would you like tuckercraig.com featured on 400 major news and media websites with millions of visitors? Be showcased on ABC, NBC, CBS, Fox, Digital Journals websites & 400 more. Get your business or yourself featured on the very top websites without spending a fortune. Being on the world’s top websites is no doubt one of the most successful ways to promote & grow your business. Imagine getting a reference from NBC, CBS, ABC etc…to show your new or existing customers? Many of our customers get great traffic, leads and new business from just 1 press release. and ask for a sample.